Nokia had announced an event for July 11 which was their second major event after the Nokia Lumia 925 event in 2013. In a small presentation, the company announced its latest Camera orientated smartphone, Nokia 1020 with a 41 MP. 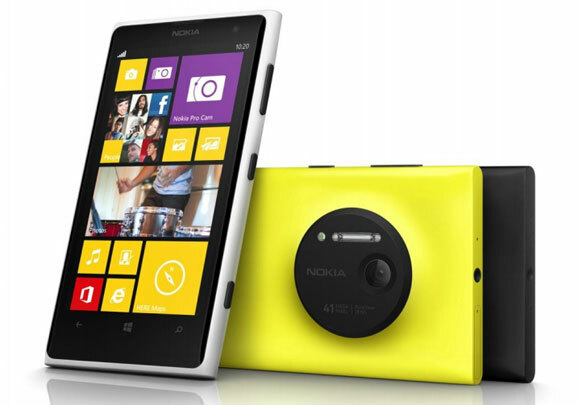 The smartphone is Nokia’s answer to Samsung's Android based camera devices released in June 2013. Nokia 1020 is the talk of town (it deserves to be) because of its increasingly impressive Camera. With Technologies like Optical Image Stabilization and PureView are combined along with a beast of a sensor, you can only get a master piece. The smartphone takes photos at 41MP while simultaneously making a 5MP copy of the photo for Sharing purposes. Nokia 1020 comes with powerful apps that allow you to fiddle with various features of the camera and subsequent pictures to produce your desired results. These apps include Bing Vision, Panorama, Photosynth, Vyclone and Nokia Pro Camera. The smartphone has a 1080p Camcoder which has continuous Autofocus and has 4X zoom for 1080p mode. The 1020 has a front shooter of 1.2 MP as well. Apart from the powerful camera, the smartphone is pretty Nokia Lumiaish. Coming with a Dual Core Snapdragon S4,a 720p screen and Window Phone 8 OS, there isn't much to talk about in it. The phone comes to US through AT & T from July 26th.